The Fayette County Commissioners have decided to proceed with the demolition of the former Fayette County Children’s Home building. The former children’s home is located on the grounds of the Fayette County Airport. According to the commissioners, the building is unsafe and not able to be used. The demolition and removal of debris will be completed by the Fayette County Engineer’s Office. The date of demolition will be announced. In other business at the commissioners’ meeting, Brian Longberry and Steve Luebbe were re-appointed to the RPHF Joint Solid Waste Management District Policy Committee for two-year terms. The terms will expire on April 21, 2021. Longberry represents the industrial/commercial/institutional generators within Fayette County, while Luebbe represents the general interests of the public of Fayette County. Sue Smith was appointed to the RPHF Joint Solid Waste Management District Policy Committee. 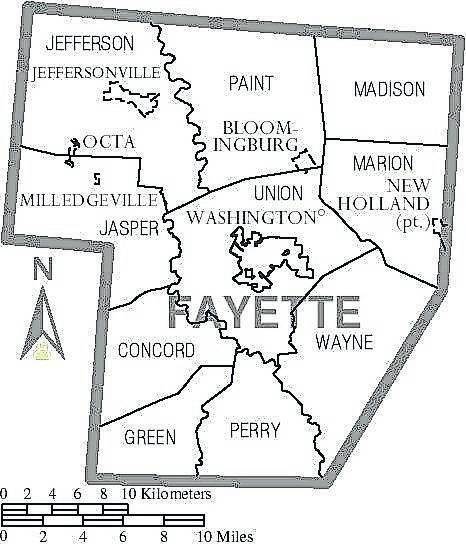 She represents the general interests of the citizens within Fayette County. Her term will expire on April 21, 2021. At the request of Fayette County Job and Family Services Director Faye Williamson, the commissioners approved a revision to the Fayette County Department of Job and Family Services Prevention, Retention and Contingency plan that was effective Oct. 1 of 2017. The revision included the addition of the Kinship Caregiver Program. An agreement was entered into with the Ohio Public Defenders in the amount of $71,036 that will be paid in four installments of $17,759. The purpose is to provide legal representation to the indigent persons in Fayette County and the City of Washington Court House from July 1, 2019 to June 30, 2020. The next group of properties being considered for transfer to the Land Bank or for foreclosure are: 833 Millwood Ave., 824 John St., 1031 Lakeview Ave., 104 E. Paint St. and 1228 E. Paint St. The next Land Bank meeting will be Monday, April 22 at 10:30 a.m. in the fourth-floor conference room of the county administration building. Stay with the Record-Herald weekly for more updates from the Fayette County Commissioners. The Fayette County Commissioners’ Office is located at 133 S. Main St., suite 401 in Washington Court House and their office hours are Monday through Friday, 8 a.m. to 4 p.m. They can be reached at 740-335-0720.